The Nuclear AMRC is leading two new European research projects to develop advanced manufacturing technologies for the civil nuclear industry. MMTech is led by the University of Sheffield AMRC and funded (pending due diligence) by the European Commission’s Horizon 2020 programme for industry-led research and development. 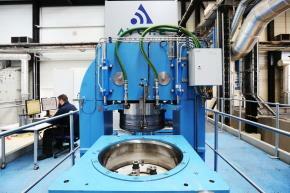 Tuesday 28 April, Nuclear AMRC. The Nuclear AMRC and High Value Manufacturing Catapult present a knowledge-sharing event about the metrology challenges affecting the UK’s advanced manufacturing capabilities. The day-long event (9.30am–4.30pm) will focus on the role of metrology in adding value to UK advanced manufacturing supply chains, with seminars from Hexagon Metrology, industry users including Alstom Power and GE Oil & Gas, and specialist researchers from institutions across the UK. Delegates will also have the opportunity to tour the Nuclear AMRC’s research facilities, including the largest CMM in the Catapult network. For more information, download the flyer (1.3Mb pdf). 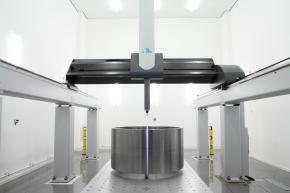 We are also hosting an invitation-only roadmapping event on the role of dimensional metrology technologies in advanced manufacturing, on Wednesday 29 April. Westinghouse Electric Company has announced that its AP1000 reactor has entered the final closeout phase of the regulatory generic design assessment (GDA). The GDA process is managed by the Office for Nuclear Regulation (ONR) and Environment Agency. It is intended to support the construction of a number of new nuclear power stations by approving a standard reactor design which can be built in different locations by different developers. The regulators granted interim approval to the AP1000 in December 2011, but Westinghouse suspended final closeout until the reactor was selected for a UK new build project. That happened last year when NuGen confirmed plans to build three AP1000s at its Moorside site in West Cumbria, with the first unit online in 2024. 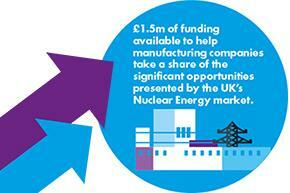 Mike Tynan, chief executive of the Nuclear AMRC, said the announcement is good news for UK manufacturers. During the GDA closeout, Westinghouse will provide regulators with detailed technical information to address the remaining open issues in their assessment of the AP1000 plant design. 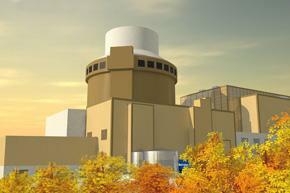 Westinghouse is targeting completion in January 2017. Eight AP1000s are currently under construction in the US and China, with an agreement signed last year for another in Bulgaria. Westinghouse says that additional units are also being considered by customers in other markets worldwide. 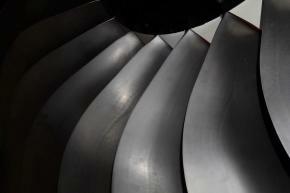 NuGen is a joint venture between Westinghouse’s parent group Toshiba and GDF Suez. The governor of the Bank of England visited the Nuclear Advanced Manufacturing Research Centre to see how the University of Sheffield AMRC plays a key role in economic growth. 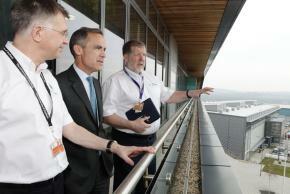 Governor Mark Carney was welcomed to the centre and given an overview of the AMRC cluster by Nuclear AMRC chief executive Mike Tynan and AMRC executive dean Professor Keith Ridgway (pictured L-R). During his visit, Carney took part in a panel discussion with leading figures from advanced engineering and regional businesses, and gave a speech to an invited audience of around 200 business people. The governor’s speech is expected to be his last public appearance before the UK’s general election in May. 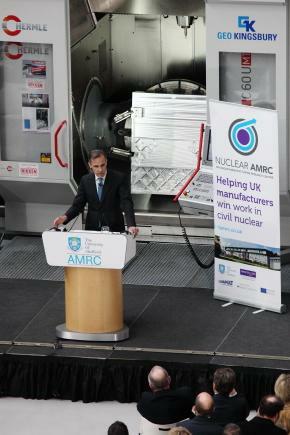 Carney praised the University of Sheffield AMRC as a prime example of Sheffield’s continuing spirit of hard work and innovation. “No one knows better than you that manufacturing needs to become ever-more productive to prosper in a world of steadily falling prices and relentless international competition,” he said. “Prices for advanced manufactured goods fell on average by around one per cent a year during the decade prior to the crisis. They also have dropped steadily relative to those of simpler manufactured products – by 30 per cent over the last two decades – reflecting superior productivity growth. Your customers and society as a whole are the beneficiaries of your doing much more with less. The strong recovery of UK manufacturing over the past year – with growth stronger than at any point in the decade prior to the crisis – is a testament to the sector’s focus on continual improvement. 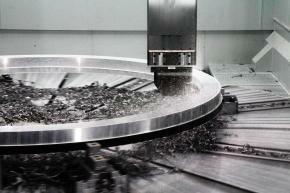 “Manufacturing punches well above its weight in spending on research and development. Manufactured products R&D has grown by a quarter since the mid-1980s and currently accounts for well over two-thirds of total UK spending on innovation. Advanced manufacturing sectors, including pharmaceutical, aerospace and automotive, represents well over half of this amount. The governor finished his visit by meeting apprentices at the AMRC Training Centre, which provides the practical and theoretical skills that manufacturing companies need to compete globally. The vital economic role of vocational education has been emphasised in a new report co-authored by University of Sheffield vice-chancellor Professor Sir Keith Burnett. Mark Carney was appointed governor of the Bank of England in July 2013, after five years as governor of the Bank of Canada. The Bank of England’s responsibilities are defined by Parliament and have been significantly expanded since the financial crisis, but focus on promoting the good of the people of the UK by maintaining monetary and financial stability. Read and watch the governor’s speech at the Bank of England website. 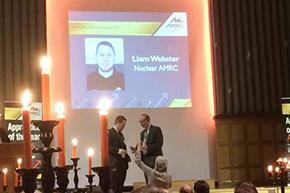 Nuclear AMRC apprentice Liam Webster was among the winners at the AMRC Training Centre’s first apprentice awards. Webster was named fabrication and welding apprentice of the year, sponsored by Oerlikon. The award was one of 10 presented to apprentices at the AMRC Training Centre, which provides the practical and theoretical skills that manufacturing companies need to compete globally. The centre takes around 250 young people a year for advanced apprenticeships on behalf of local employers. It also offers a pathway through university, up to MBA or doctoral level, plus continuing professional development. The awards were held as part of National Apprenticeship Week, which also saw the release of a new report on vocational education co-authored by University of Sheffield vice-chancellor Professor Sir Keith Burnett. The keynote speaker at the awards dinner was David Pitchforth, Yorkshire-born managing director of Boeing Defence UK, who praised the value of advanced apprenticeships. 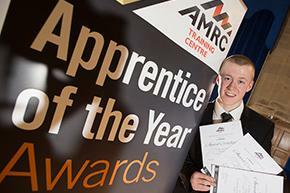 Russel Fox, an apprentice at Sheffield-based Eldon Tools, was named as the AMRC Training Centre’s Boeing apprentice of the year. As part of the award, Fox will travel to Boeing’s headquarters in Seattle to see the aerospace giant’s new Dreamliner being made. Fox was also took the academic achiever award, sponsored by Barnsley College. Other winners include Ross Coipel of Maher, machining apprentice (sponsored by Sandvik Coromant); Jonathan Watson of Nikken Kosakusho Europe, maintenance apprentice (Cromwell); Bradley McDonald of Sheffield Forgemasters, technical support apprentice (Hexagon Metrology); and Stacey Curtis of the University of Sheffield, business and administration apprentice (Apprentice Employment Agency). Special recognition awards sponsored by Haas, Huvema and the MTA went to Jack Wilsher-Hepworth of Aesseal for voluntary work; Kesson Lomas of Lomas Engineering for progress throughout her engineering apprenticeship; and the AMRC Training Centre’s Master Cutler’s Challenge team, for raising more than £7,000 for the Whirlow Hall Farm Trust and Sheffield Hospitals Charity. 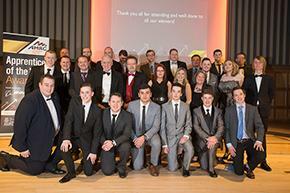 John Dobinson, trainer at the AMRC Training Centre, was chosen by the apprentices as mentor of the year. The Nuclear AMRC and MAS present an introduction to manufacturing opportunities in the civil nuclear industry – in new build, decommissioning and experimental fusion. Delegates will find out about the funding and support available to help companies enter and compete in the nuclear market, and will hear from one local manufacturer who is currently developing his business through the Fit For Nuclear programme.